The Tracker and Trailblazer adopt GM’s latest propulsion, intelligent connectivity and safety technologies. They will bring the joy of exploring life and pursuing passion to a new group of vehicle buyers in the brand’s second-largest market. According to numerous reports, the Tracker will be riding on Chevrolet’s new GEM or Global Emerging Markets platform. It’s going to be larger than the global market Trax, but will actually be priced below it to help Chevrolet combat the slew of cheap crossovers in China. It’s said that that the Tracker will get a boosted 1.0-liter 3-cylinder engine making 115 horsepower paired to a 6-speed dual clutch automatic. Chevrolet does have plans to sell this to other emerging markets so there’s a good chance the Philippines will get to see it here. Things become a bit more confusing when it comes to the Trailblazer. Although markets such as the Philippines know the Trailblazer as a body-on-frame SUV based off the Colorado, reports indicate that this China-market version will be something entirely different. 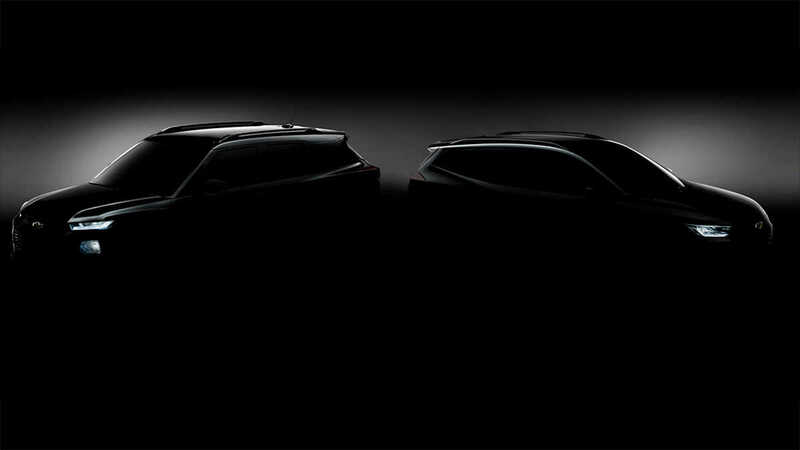 Reports say the Trailblazer will return as a compact crossover and will slot below the North American Blazer mid-sized crossover. It’s said to feature Chevrolet’s new next-generation modular unibody architecture known as VSS-S (Vehicle Strategy Sets). It will also likely gain a new family of turbocharged 4-cylinder engines and will be offered in both front- and all-wheel drive. True enough, assuming that the teaser photo shows off both vehicles to scale, it’s clear that the Tracker and Trailblazer have more or less the same footprint. This reduces the chances that the Trailblazer in China would ultimately be the replacement to Chevrolet’s aging PPV in Southeast Asia. Regardless, it would be interesting to see if Chevrolet is able to throw a surprise at the Auto Shanghai.